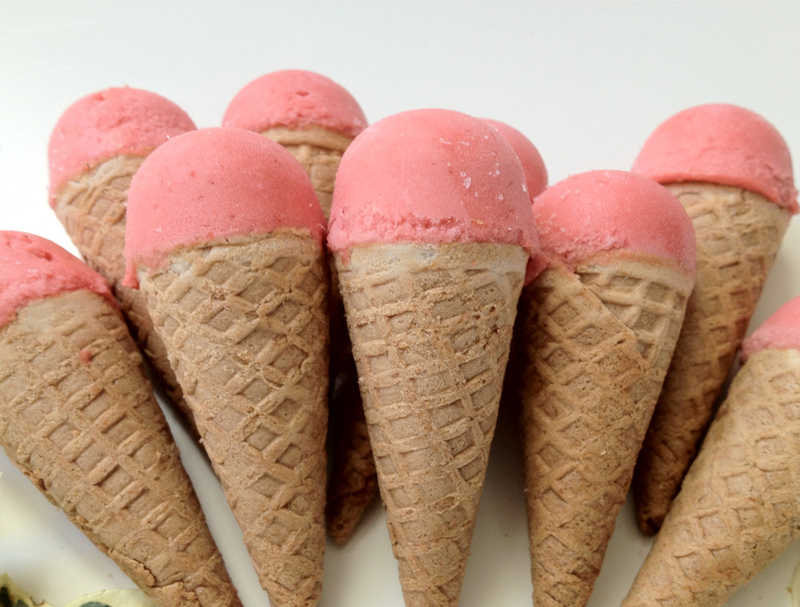 How cute are these little 4 inch, 3-bite cones? Order by the dozen in any flavor you like. We can dip them in chocolate and roll in any topping. They make great finger snacks for children’s parties.